The Town of Truckee encourages residents to use a reusable bag instead of paper when shopping. 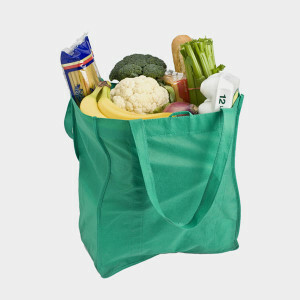 Reusable shopping bags can be made from hemp, polypropylene, jute, canvas or cotton. Only the ones made from polypropylene (#5 plastic) can be recycled. Place canvas, cotton, jute or hemp bags in with composting since they’re made from biodegradable plant fiber. Send back old, reusable shopping bags to ChicoBag’s Repurposing Program. ChicoBag has partnered with Grateful Thread, who makes handbags, placemats, and totes from donated materials. Proceeds from their sells are used to support services for victims of domestic violence. Conventional plastic bags are among the top 12 items found most frequently during coastal cleanups. Plastic bags can take up to 1,000 years to break down, though because they are plastic, they will never degrade completely.